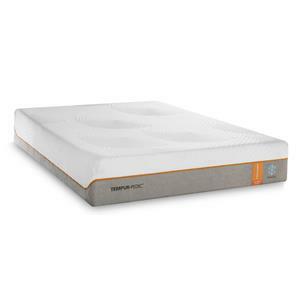 The California King Medium-Firm Mattress and Grey Low Profile Foundation by Tempur-Pedic® at Morris Home in the Dayton, Cincinnati, Columbus, Ohio, Northern Kentucky area. Product availability may vary. Contact us for the most current availability on this product. 520528659 Contour Elite Breeze Cal King Medium-Firm 1 12.5"